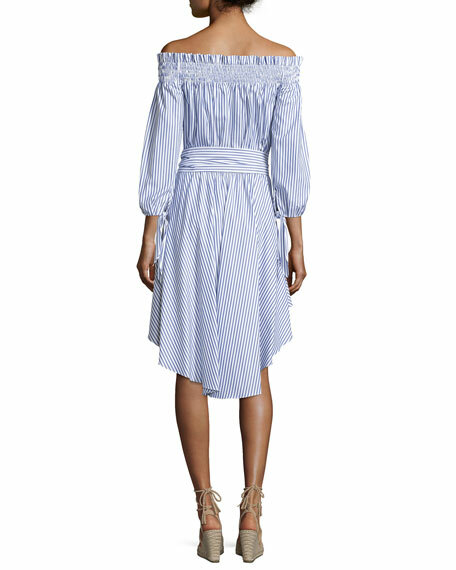 Caroline Constas classic "Lou" poplin dress with vertical stripes. Approx. length: 30"L from shoulder to hem, 40"L down center back. Three-quarter sleeves with self-tie cuffs. Wide self-tie belt gathers waist. In 2013, Caroline Constas launched her eponymous New-York based label in search of functional but contemporary clothing. 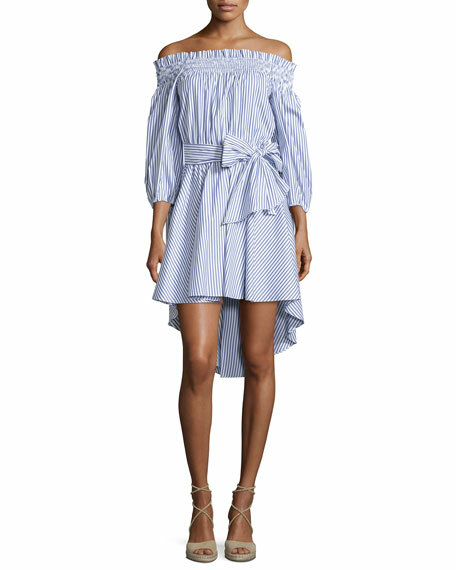 Known for her off-the-shoulder looks and modification of classic shirting, Constas has created her own vocabulary of effortless womenswear. For in-store inquiries, use sku #2147267.